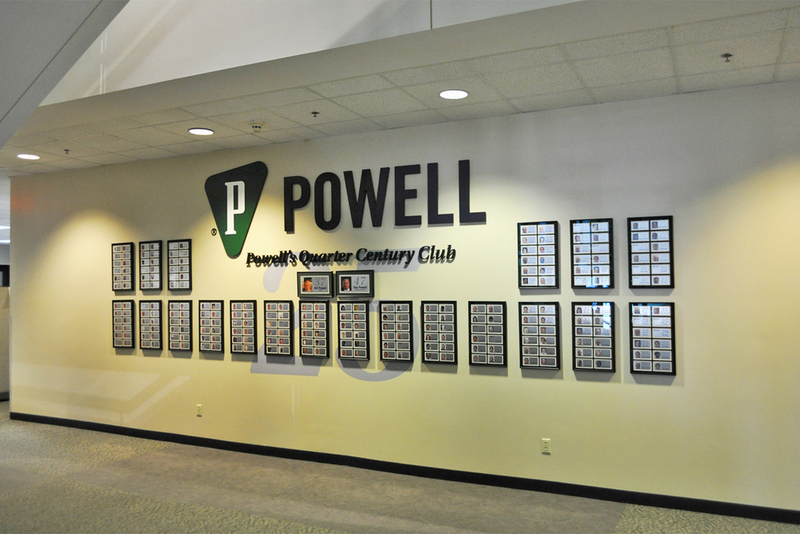 Powell Electric wanted to recognize the contributions of their employees with a unique inspirational and affirmative feature – a commemorative wall with the names and pictures of close to 250 past and present employees. Every person on the wall was valued by the company, and they wanted to acknowledge that publicly. There were some practical requirements for the wall to work as envisioned. Our solution for the commemorative wall was a system of magnetized plaques in frames. 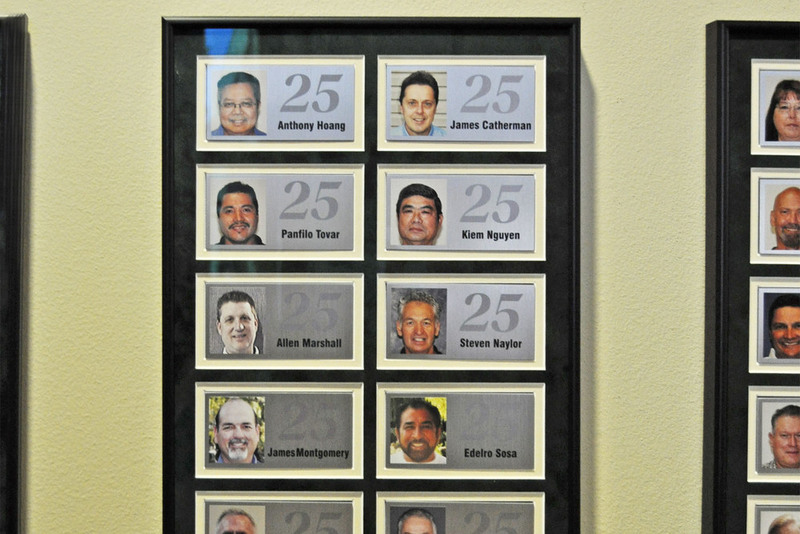 The plaques can be easily removed and rearranged in the frame system, without any assistance. To ensure that they are protected, we covered the plaques with a glass front. However, it was designed so it could open to allow access to the plaques when changes have to be made. For ex-employees, we pulled their pictures off old security cards and enhanced them digitally. Then we created samples on zinc plates for the clients to approve, not just pdfs, so they were sure of the final product before it was created.